Writing is a constant battle. A battle against the fear of the blank page, and the fear fuelled by self-doubt. All who write will know how crippling the fear, and how irrational the motive. Thankfully, for the author, this fear has been moderated. It has been moderated by your continuous support, and by the sheer pleasure of writing new absurdities for the Vasa and Ypres characters. I have given my all to write Park Avenue or Bust!, and I hope you will support my craft by purchasing a copy, and, if you enjoy it, sharing it with your friends before using it as kindle as winter approaches. I will continue to write; Vasa and Ypres will endure. For now, I shall focus on promoting the series – if you wish to write a (positive) review, let me know! At the moment, I ask for your benevolence and patience. Benevolence towards the Vasa and Ypres series, and patience towards the next story. The Chisholm mind has been throbbing fiercely and it will need many months, perhaps even a year, to rest. P.S. : With many thanks to the uniquely talented Allen of The Midnight Goose, who has channelled his indefatigable energy into becoming my unofficial PR person. You have my gratitude. 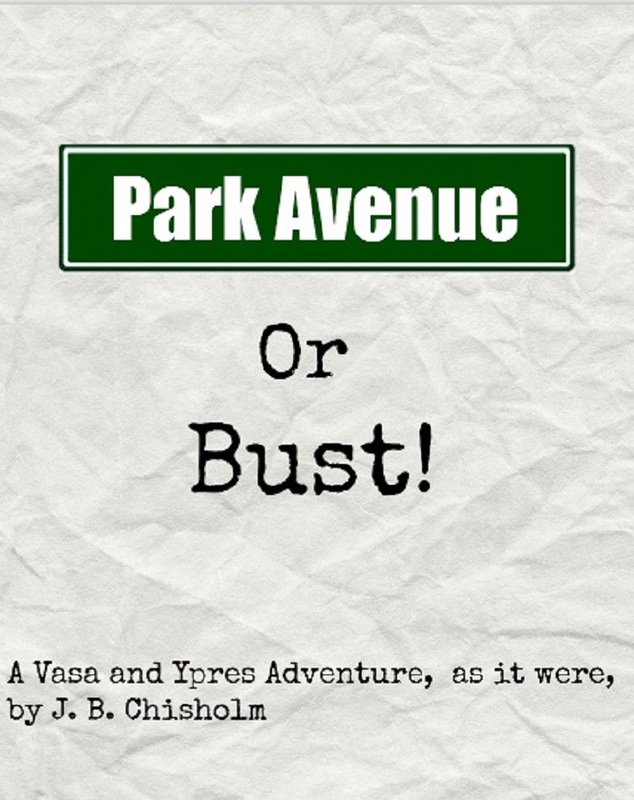 Previous Post Vasa and Ypres’s Latest Book: Park Avenue or Bust! Do rest your grey cells. Vasanistas cannot be derailed by the passage of time.